Nova Victoria is an architecturally daring urban campus that delivers a new and vibrant destination for London. More than just a development, the comprehensive transformation of this 5.5-acre island site is the defining moment in the £2.2 billion investment in the re-invention of Victoria. This site is already home to some of the biggest businesses in the country such as Channel 4, the Telegraph Media Group, and high-end fashion names such as Jimmy Choo, Tom Ford and Burberry. It fully utilises the 897,000 sq ft by offering game changing commercial office space, contemporary high quality apartments, as mentioned earlier high profile retail stores and numerous restaurants. This truly is making Nova Victoria, the space to watch, for transforming the public landscape. Construction of Nova Victoria started in June 2013. The first phase comprises of 480,300 sq ft offices, 79,000 sq ft of retail and 170 luxury modern apartments within three landmark buildings. 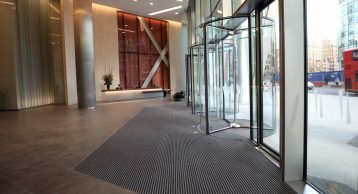 This presented a fantastic opportunity for INTRAsystems to partner with PLP architects and be specified as the Entrance Matting manufacturer and Supplier. 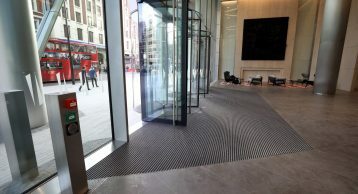 This was the perfect project for us to showcase our premium flagship product; the INTRAflex XT with Elite Polyamide Inserts. 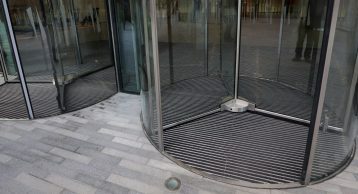 This product can be installed in any recessed matwell area. 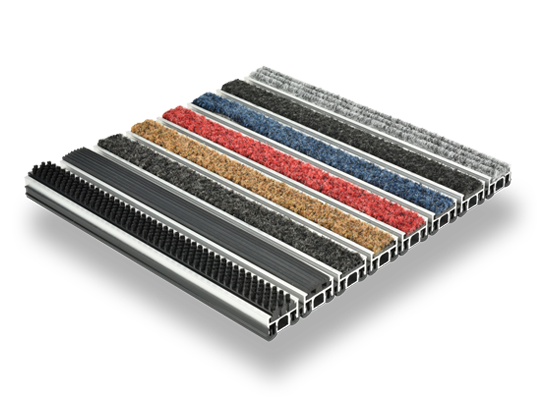 INTRAflex XT is used for High Traffic environments. It can be used internally by using Ribbed Rubber, Polyamide and Polypropylene inserts and externally by using Ribbed Rubber and Brush inserts. 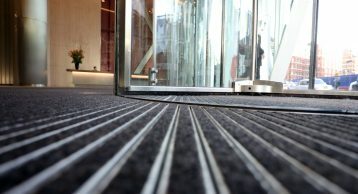 The product is manufactured from 100% recycled aluminium and all inserts are sustainable. Other benefits of this products include its Heel Proof Open Construction which allows dirt and moisture to fall through into the matwell below. 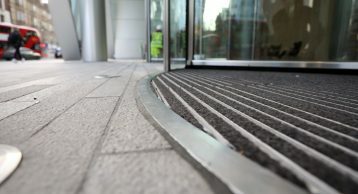 It can also be Closed Construction which offers solid connecting strips preventing debris falling through into matwell. 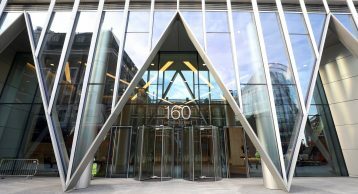 David Moodie the specification manager says, “the aesthetics of the product makes it the perfect complementing system for high-end locations such as Nova Victoria” he enjoyed working with PLP Architecture who specified this flagship product. 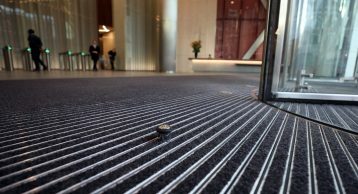 We pride ourselves in the quality and service we provide, with INTRAsystems you can specify with confidence and install with ease. Call us today on 01425 472000 to see how we can deliver high quality projects for you, or email the sales team on info@intramatting.com.